MyCase calendaring lets you manage your firm’s case, staff, and client events with ease. MyCase helps you keep track of what’s happening in your cases on one handy, central calendar so nothing slips through the cracks. Create and link calendar events to specific cases and share them with select users and/or clients. So whether it’s an upcoming court date or deposition, the MyCase Calendar ensures you’re always prepared. Managing an organized law firm is challenging without visibility into your staff’s schedule. MyCase gives you a roll-up of all firm-wide appointments, deadlines, and staff meetings on one central calendar so you can coordinate your efforts and see when others in your firm are available. Any time you create a calendar event, new or recurring, MyCase notifies all invited parties for you, saving you time and hassle. 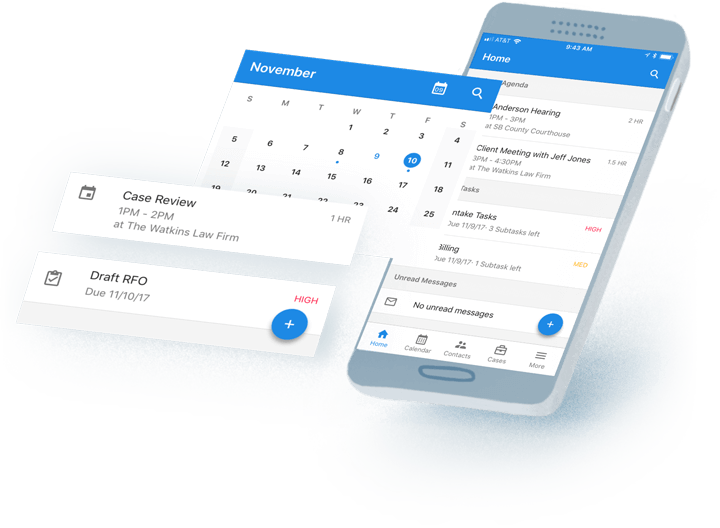 Seamlessly view your calendar events whether you're looking at your Google or Outlook calendar — either of which can be integrated with your MyCase central calendar. From there, anytime you create a new event, the entry is logged in both calendars. 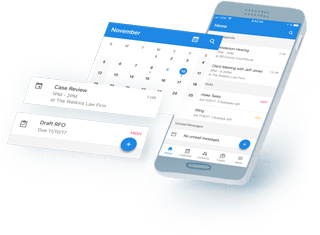 And any changes to your calendar in MyCase will reflect in Outlook or Google Calendar and vice versa so you never need to update your schedule in more than one place. With MyCase you never have to worry about missing Statute of Limitation deadlines for your open cases. Simply create and monitor Statute of Limitations dates in your firm’s central calendar to see which cases require your immediate attention. Then when the time comes, simply mark them as satisfied or non-satisfied.